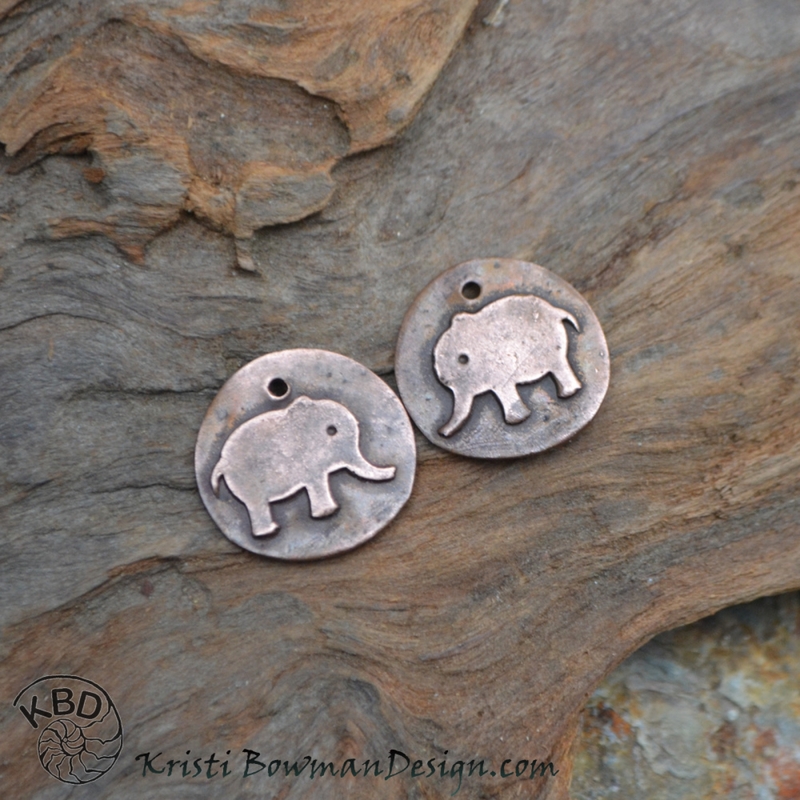 Copper Adorable little Elephant earring pair with smooth texture. All of my copper is sealed to protect. 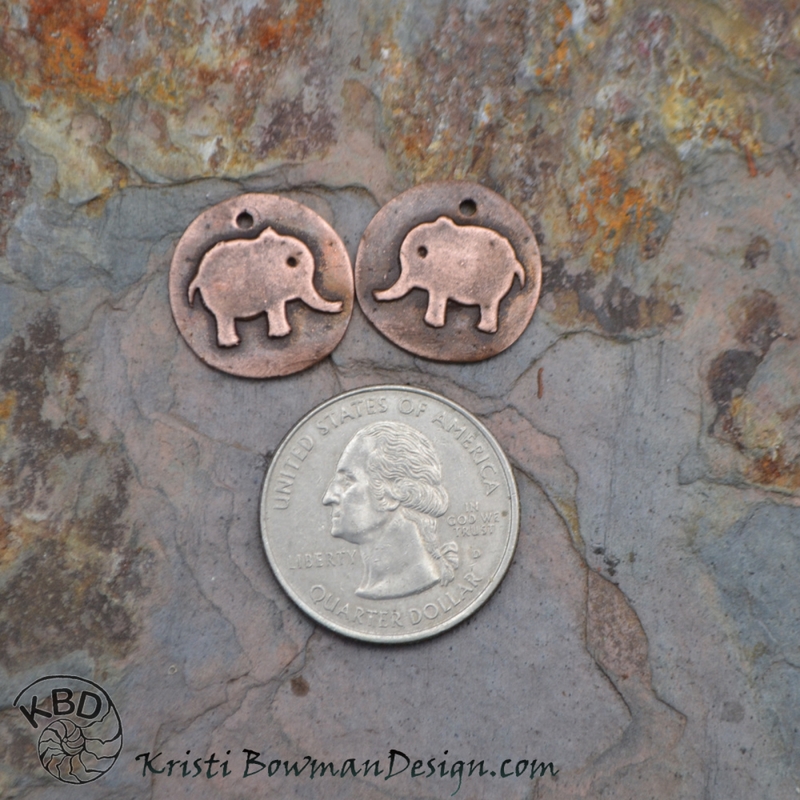 They measure approximately 5/8" in diameter with a single jump ring hole.